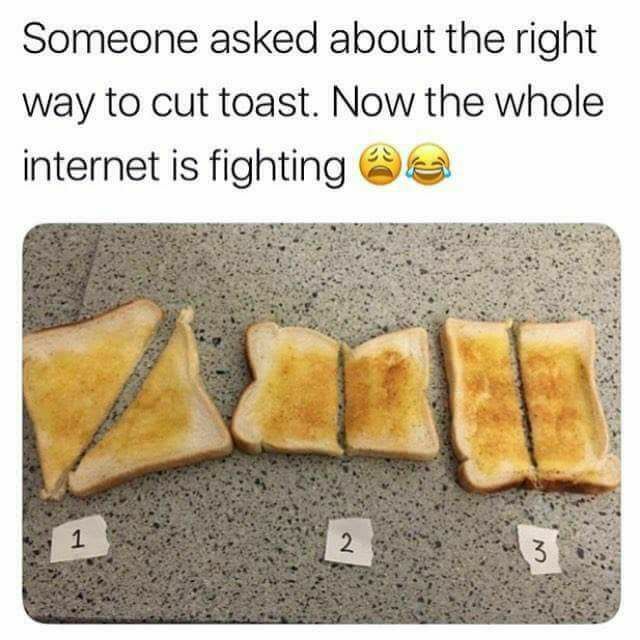 I like number 1 and I always used to cut my toast like this. Now though, savage that I am, I am more likely to not cut it at all. If it is a sandwich, I cut it like 2.